A California man who legally changed his name to “Obiwan Kenobi” was released from jail yesterday after spending five days in custody following his arrest on a hit-and-run count. Kenobi, 37, has been charged with leaving the scene of a five-car accident last month in Roseville. According to cops, Kenobi’s reckless driving triggered the chain-reaction collision. 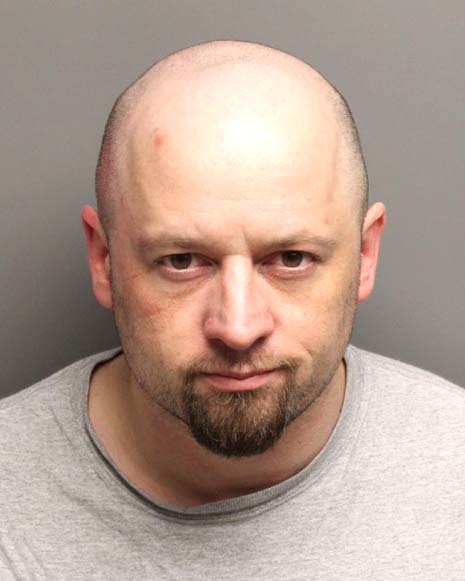 After investigating the March 19 accident, the Roseville Police Department busted Kenobi Saturday on a felony hit-and-run charge and booked him into the Placer County jail, where the adjacent mug shot was snapped. At the time of his arrest, Kenobi was wanted on an outstanding warrant charging him with misdemeanor petty theft. Kenobi was released from custody yesterday and placed “on electronic monitoring,” according to a spokesperson for the Placer County Sheriff’s Office. Formerly known as Benjamin Cale Feit, Kenobi changed his name in 1999 in response to a radio stunt tied to the release of “Stars Wars: Episode I.” A California station offered $1000 to the first listener to legally change their name to that of the fictional Jedi master. Kenobi is due to appear April 30 for a status conference in Placer County Superior Court.